A Dallas native, Sam attended Lake Highlands where he was the captain of the swim team. After high school, Sam attended The University of Arizona, where he graduated with Bachelor of Science degrees in both Business Economics and Entrepreneurship. Sam got into real estate purchasing properties in ill repair and turning them into outstanding homes. Now, as a Realtor Sam uses his experience from remodeling homes as a valuable tool when working with clients to help them envision and explore remodeling possibilities. 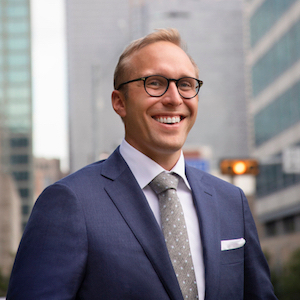 He also uses his background in economics to assess the real estate market and help his clients evaluate properties from a financial perspective. Sam currently resides where the M Streets meet Lakewood in the East Dallas neighborhood of Wilshire Heights. Sam sells all over Dallas, and has intimate appreciation of what every enclave this burgeoning city has to offer. In his free time Sam enjoys playing golf and tennis, fishing and honing his culinary skills.